…a fun and funky place to learn! 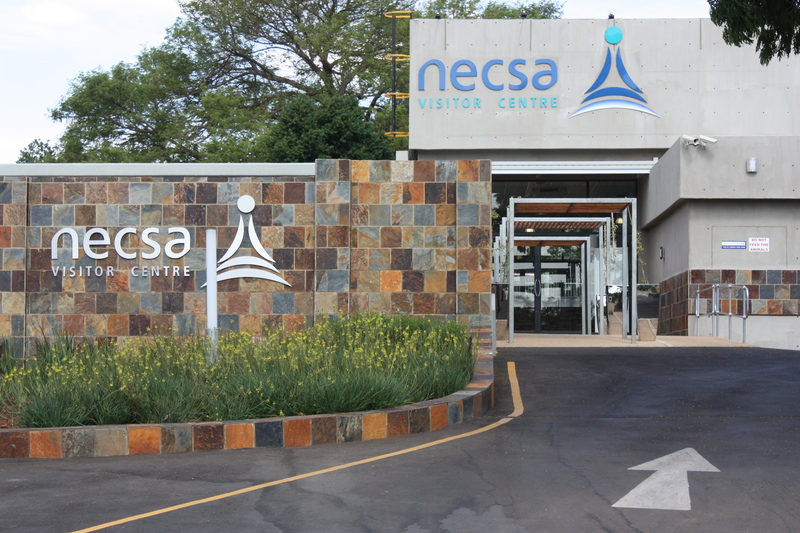 The Necsa Visitor Centre is a state of the art exhibition facility build to communicate nuclear science and technology and therefore help to demystify some of the ancient myths or misconception. We cover 5 major topics about nuclear: Nuclear Energy, Nuclear Science, Radiation, Reactors and Nuclear Waste. The Centre belongs to Necsa, which is a State-owned organisation set up to do research on nuclear science and technology and it also runs SAFARI-1 research reactor. We take visitors through our centre on guided tours, we run workshops on different nuclear topics of interest, we present holiday programmes during schools holidays, we participate in various nationwide exhibitions and we also run many other programmes within the centre. As such we strive to contribute to the overall improvement of general nuclear knowledge. To be a recognised centre of excellence in the field of Nuclear Science and technology communication in South Africa and globally.The Necsa Visitor Centre strives for communications excellence, liaison and facilitation, disseminating of nuclear knowledge, by ensuring reputable stakeholder relations to maintain the highest level of customer satisfaction.To contribute to the improvement of life of the Southern African public by improving nuclear science and technology knowledge and skills through the utilization of interactive and engaging programmes and exhibits. To inform the public on nuclear science and technology, promote and market Necsa Group and its products nationally, regionally and internationally through various means. 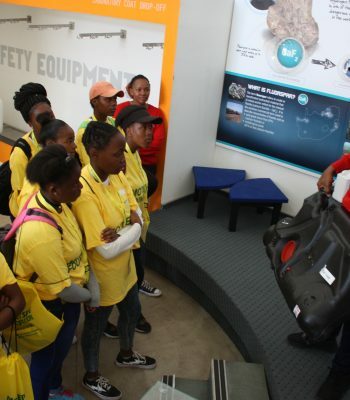 To disseminate knowledge in nuclear science and technology to the public in general and the youth in particular through enjoyable, engaging hands-on exhibits, displays and programmes, so that they can appreciate the relevance of nuclear science and technology in their daily lives. To serve as a catalyst for our youth to develop their creativity and to nurture their interest in related science technology, engineering and mathematics fields. Members of the public, teachers and mid- to high-grade learners will love our exhibits with hands-on and touch screen activities. These all support the school curriculum and are aligned with education standards. Visits are enhanced by science communicators who are there to answer questions and assist at all times. 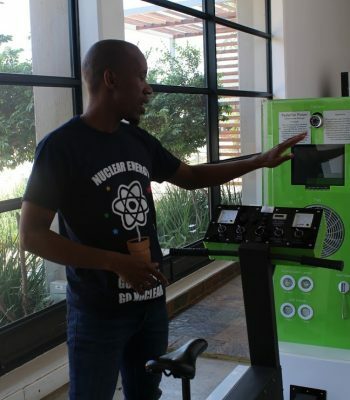 Meet Necsa scientists who will tell you about their lives as scientists and the different career options available in the nuclear industry for learners. Necsa hosted approximately 2000 students during the National Science Week (NSW) that took place from 30 July to 4 August 2018, which is part of an annual programme of the Department of Science and Technology. The theme for 2018 is “Deepening Our Democracy through Science” which is in line with the celebration of the centenary and the legacy of Nelson Rolihlahla Mandela and Albertina Sisulu. In collaboration with the Motsepe Foundation, Necsa also hosted approximately 300 students on Saturday 4 August 2018. The Motsepe Foundation and Necsa joined forces to contribute toward alleviating the national shortage of skilled personnel in the science and engineering sectors of the economy. 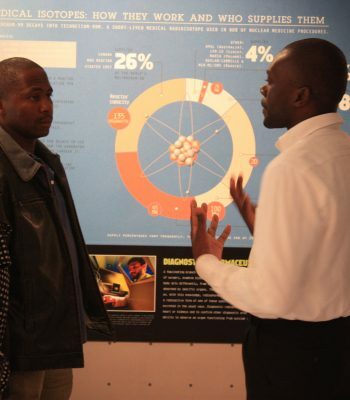 Their shared aim is to encourage positive approaches to informing and educating the general public and students and to create awareness of peaceful and medical uses of nuclear. Our CEO Mr Phumzile Tshelane explained that Necsa’s intended goal is to stimulate public awareness of nuclear and other forms of energy, in line with the Energy Policy. "This year Necsa has targeted various schools in Gauteng and Limpopo. It was also an honour to have hosted the Motsepe Foundation schools in Gauteng, North West and Mpumalanga on Saturday, 4 August 2018.” Co-Founder, Deputy-Chairperson & CEO of the Motsepe Foundation, Dr Precious Moloi-Motsepe was welcomed with a huge applause and jubilee. As part of her speech, Dr Motsepe said: “Investing in education for young girls gives them a better job and career opportunities. As the world moves towards artificial intelligence, this is the ideal time to encourage young girls to study subjects in the Science, Technology, Engineering and Mathematics (STEM) fields so that they are not left behind in the rapidly changing world. The aim is to encourage girls from grade eight (8) to pursue STEM subjects. The Motsepe Foundation has committed more than 2000 bursaries to further help young people when they complete matric to pursue such careers. 'Edutainment' activities organised and conducted during the NSW are aimed at providing a platform for scientists to engage with maths and science learners, attract learners to science, engineering and technology (SET) careers (including research) as well as a possible career within Necsa. When asked about their best experience in the week, students always highlighted the show with experiments, especially the riveting foam party! NSW is an ideal platform to expose learners to science-based careers, particularly to those from the disadvantaged sections of the population. Thank you to all the Necsa scientists and volunteers who formed part in making the National Science Week a success.